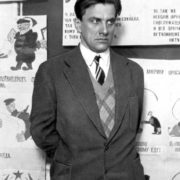 The ingenious works of Vladimir Mayakovsky are truly admired by millions of his fans. 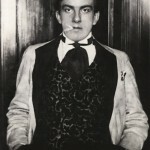 He deservedly belongs to the number of the greatest futurist poets of the 20th century. 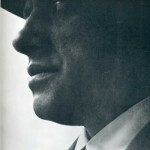 In addition, Mayakovsky proved himself to be an extraordinary playwright, satirist, film director, screenwriter, artist, and also editor of several magazines. His life, multifaceted creativity, as well as personal relationships, were full of love and experience. 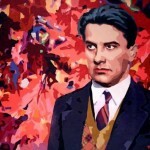 A talented poet was born on July 19, 1893 in Baghdati, a small Georgian village in Russian Empire. 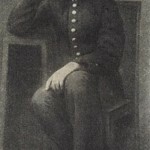 His mother Alexandra Alekseevna belonged to the Cossack family from the Kuban, and his father Vladimir Konstantinovich worked as a simple forester. 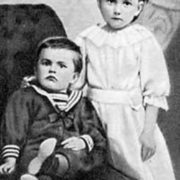 Vladimir had two brothers – Kostya and Sasha, who died in their childhood, as well as two sisters – Olya and Lyuda. 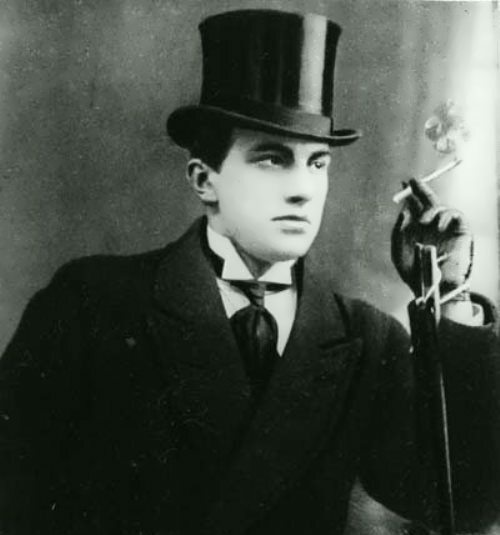 Mayakovsky knew Georgian perfectly well and from 1902 he studied at gymnasium in Kutaisi. Already in his youth he was full of revolutionary ideas, and, while studying at the gymnasium, he participated in a revolutionary demonstration. In 1906, his father died. The cause of death was the blood infection as a result of a finger prick with a simple needle. 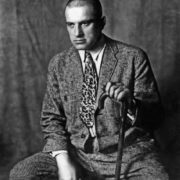 This event shocked Mayakovsky and later he completely avoided pins and needles. 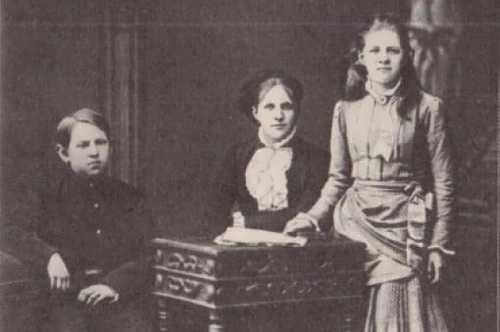 In the same year Alexandra Alexeevna took her children and moved to Moscow. 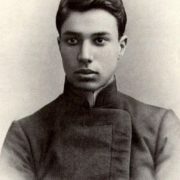 Vladimir continued his studies in the gymnasium, where he attended classes together with Alexander, the brother of the poet B. Pasternak. However, after the death of his father, the financial situation of the family significantly deteriorated. As a consequence, in 1908 Vladimir could not pay for his education, and he was expelled from the gymnasium. 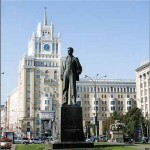 In Moscow, a young man began to communicate with students, who were fond of revolutionary ideas. In 1908 and 1909, Vladimir was arrested three times, but due to the lack of evidence, they were forced to release him. 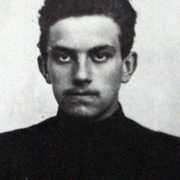 During the investigations Mayakovsky was often transferred to various places of detention. As a result, he was in Butyrka prison, where he spent eleven months and began writing poetry. 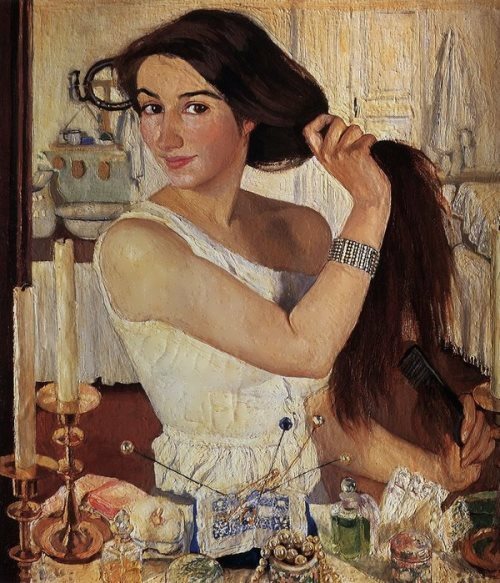 In 1911, artist Evgenia Lang, with whom Vladimir was in a friendly relationship, recommended him to paint. While studying at the School of Painting, Sculpture and Architecture, he met with the founders of the group of futurists Gilea and joined them. 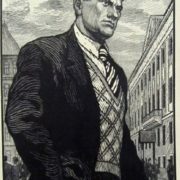 The first published work of Mayakovsky was the poem Night (1912). At the same time, the young poet performed in the artistic cellar, which was called Stray Dog. Vladimir together with members of the group of cubo-futurists toured Russian cities, where he lectured and recited his poems. Maxim Gorky believed that among the futurists Mayakovsky was the only true poet. The first collection of the young poet I was published in 1913 and consisted of only four poems. The following year, Vladimir wrote a touching poem Listen, which amazed readers with its brilliance and sensitivity. In 1914 he created the tragedy Vladimir Mayakovsky, which was presented to the public on the stage of the Petersburg theater Luna Park. At the same time, Vladimir acted as its director, as well as the performer of the main role. In 1914, the young poet firmly decided to join the army, but his political unfaithfulness frightened the authorities. He did not get to the front and, in response to neglect, wrote a poem To You, in which he gave his assessment of the tsarist army. In addition, soon he wrote brilliant works Cloud In The Pants and War Is Declared. The following year, Vladimir’s fateful meeting with the Brik family took place. 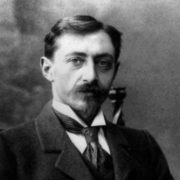 From 1915 to 1917, thanks to the patronage of M. Gorky, the poet served in an automobile school. 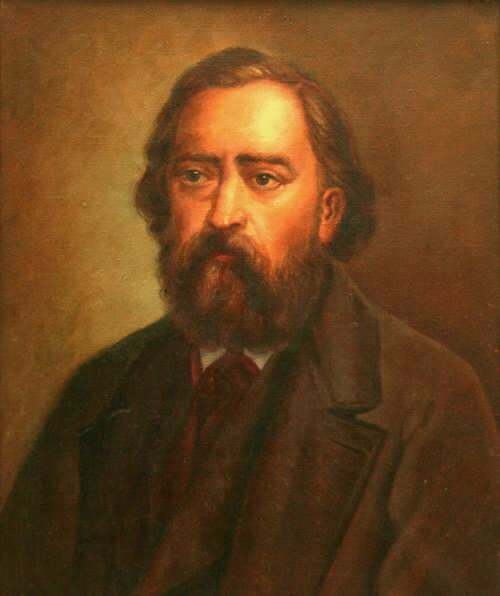 Osip Brik bought two of Vladimir’s poems and soon published them. 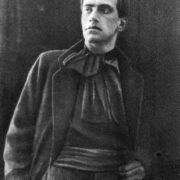 In 1915, Mayakovsky published a series of works Hymns in the New Satyricon. Soon there were two large collections of works – Simple As Mooing (1916) and Revolution (1917). The October Revolution was met by the great poet at the headquarters of the uprising in Smolny. He immediately began to cooperate with the new authorities and participated in the first meetings of cultural figures. In 1917-1918 he released several works devoted to revolutionary events (for example, Ode to the Revolution, Our March). 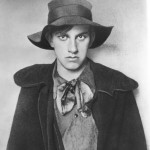 Later, in 1919, Mayakovsky was an actor, screenwriter and director of three films. Then the poet began to collaborate with ROSTA and worked on agitational and satirical posters. 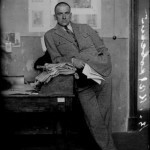 In parallel, Mayakovsky worked in the newspaper Art of the Commune. Besides, in 1923, Vladimir organized the group Left Front of Arts, as well as the LEF magazine. At that time, he created several bright and memorable works: About This (1923), Sevastopol-Yalta (1924), Vladimir Ilich Lenin (1924). In general, it was the years of the Civil War that proved to be the best time for Vladimir, as he mentioned in the poem Good (1927). 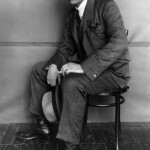 During 1922-1924 the poet visited France, Latvia and Germany. In 1925, Vladimir went to America, having visited Mexico, Havana and many cities in the United States. 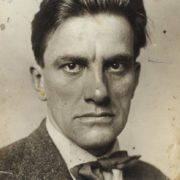 The beginning of the 1920s was marked by a stormy polemic between Mayakovsky and Sergei Yesenin, who was the irreconcilable opponent of the futurists. In addition, Mayakovsky was a poet of the revolution and the city, and Esenin in his work extolled the village. However, Vladimir could not help admitting the unconditional talent of his opponent, although he criticized him for conservatism and addiction to alcohol. They were united by the theme of suicide, which was in the works of both poets. 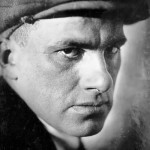 During 1926-1927 Mayakovsky created 9 screenplays. 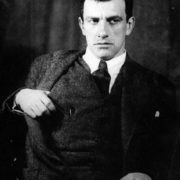 By the end of the 1920s, Mayakovsky had written two plays for the theater of Meyerhold: Bedbug (1928) and Bath (1929). In them, the satirical presentation of the reality of the 1920s is combined with a glance into the future. In 1930 Vladimir had health problems. The personal life of the poet turned into an unsuccessful struggle for happiness. He was very lonely, because the Briks – his constant support and comfort, went abroad. 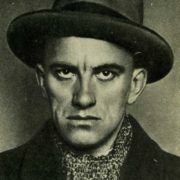 There were attacks from all sides and Mayakovsky’s vulnerable soul could not stand. On April 14, 1930 Vladimir shot himself directly in his heart. 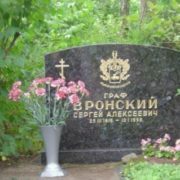 He was buried at the Moscow Novodevichy Cemetery. 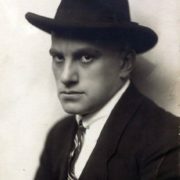 After the death of Mayakovsky, his works were banned. 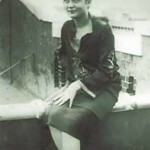 In 1936, Lilya Brik wrote a letter to Joseph Stalin with a request to help in preserving the memory of the great poet. In his resolution, Stalin highly appreciated the achievements of the poet and gave permission for the publication of his works. His personal life remained unstable for many years, as he was torn between several women in his life. 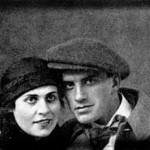 Mayakovsky met Lilya Brik in 1915. She was the love of his whole life. At that time the young poet dated her sister Elsa Triolet. One day the girl invited Vladimir to the apartment of the Briks. There Mayakovsky first read the poem The Cloud in the Pants, and then solemnly dedicated it to Lilya. You know, the prototype of the heroine of this poem was the sculptor Maria Denisova (Vladimir fell in love with her in 1914). 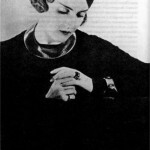 Lilya became Mayakovsky’s muse. He dedicated almost all his love poems to her. The lovers played together in the film Shackled by Film in 1918. Moreover, since 1918, the Briks and the great poet began to live together, that was quite in line with the marriage-love concept that existed at that time. 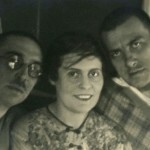 Often, Mayakovsky gave them money, and presented Lilya with luxury gifts. However, the poet had love affairs with other women. 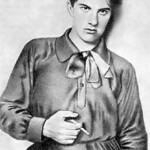 In 1920, Mayakovsky had close relations with the artist Lilya Lavinskaya, who gave birth to their son Gleb-Nikita (1921-1986). Later, in 1926, he met Ellie Jones, an emigre from Russia, who gave birth to his daughter Elena-Patricia (1926-2016). Also he had love affairs with Sofya Shamardina and Natalia Bryukhanenko. In Paris, outstanding poet met Tatyana Yakovleva. 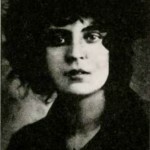 Mayakovsky wanted her to come to Moscow, but she refused. 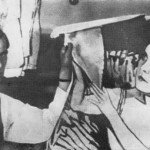 Together with Tatiana Mayakovsky chose a present for Lilya – a Renault car. Brick became the second female driver in Moscow. Then in 1929 Vladimir decided to go to Tatiana, but he had problems with visa. 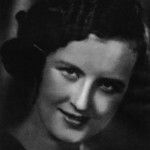 The last love of Vladimir was the young and married actress Veronika Polonskaya. The poet wanted his 21-year-old lover to leave her husband, but Veronika did not dare to make such serious changes in life. 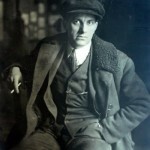 Difficulties in his personal life pushed Mayakovsky to a fatal step. The actress was the last one who saw Vladimir before his death. He asked her not to go to the planned rehearsal. When the door was closed, a fatal shot sounded. Polonskaya did not dare to attend the funeral, because the poet’s relatives considered her to be the culprit. 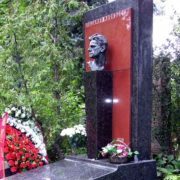 In 1930, his birthplace of Bagdadi was renamed Mayakovsky in his honor. In 1967 the Taganka Theater staged the poetical performance Listen, based on Mayakovsky’s works. The role of the poet was played by Vladimir Vysotsky, who also was inspired by his poetry. In 1938 the Mayakovskaya Metro Station was opened to the public. In 1974 the Russian State Museum of Mayakovsky was opened in the center of Moscow in the building where Mayakovsky resided from 1919 to 1930. In 2007 Craig Volk’s stage bio-drama Mayakovsky Takes The Stage (based on his screenplay At The Top Of My Voice) won the PEN-USA Literary Award for Best Stage Drama.